Even if you’ve never heard of Max Steel, there’s a decent chance your kids have. A chrome-costumed teenage superhero with a fluctuating set of powers, Max was first introduced as a Mattel action figure in the mid-’90s, before making the leap to comic books, video games, two televised cartoon series, and nine direct-to-DVD animated films (only one of which, admittedly, has been released outside of Latin America). Given the volume of material bearing the Max Steel moniker, one might expect a cinematic version to play to the enthusiasts that have kept this property alive—especially in an era of largely faithful geek-pop adaptations. But the live-action Max Steel, arriving in theaters today more than two years after it wrapped production, isn’t some fans-only plunge into an alienating, cross-medium mythology. Quite to the contrary, it applies its brand name to an origin story so familiar—so entirely unspecific—that it could be easily retitled Superhero Movie, were that title not already claimed. Not that there’s even really a canon to respect: Some hastily conducted research reveals that Max Steel has never boasted an official continuity; given that the character began life as a hunk of plastic with a cool name, it’s hardly surprising that writers have reshaped his biography on the fly, with all the consistency of kids playing with their toys in the backyard. 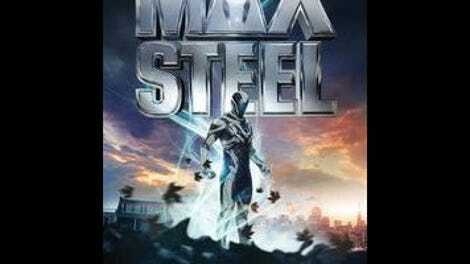 On the big screen, Max Steel is actually two characters: Max (Ben Winchell), a blandly easygoing high-schooler who discovers that he can harness electromagnetic energy; and Steel, a floating, soccer-ball-sized extraterrestrial that can enhance the kid’s already-considerable abilities. Max’s powers start flaring up once his single mother (Maria Bello) moves them back to the town where he was born, home to the tech company where his father worked before perishing in a mysterious accident. Could the old man’s death and the emergence of Max’s new skill-set be related? That’s a mystery that will confound only those who can’t spot the film’s villain the minute his recognizable face appears on screen. Voiced by Josh Brener, of The Big Bang Theory and Silicon Valley, Steel is an irritating comic-relief sidekick, firing dopey one-liners and “humorously” misunderstanding Max’s budding romance with instantly, inexplicably understanding dream girl Sofia (Ana Villafañe). As a digital avatar, however, the pint-size alien—a mobile orb with a single, glowing peeper, as though Amblin had been tasked with making HAL cuddly—is convincing enough. 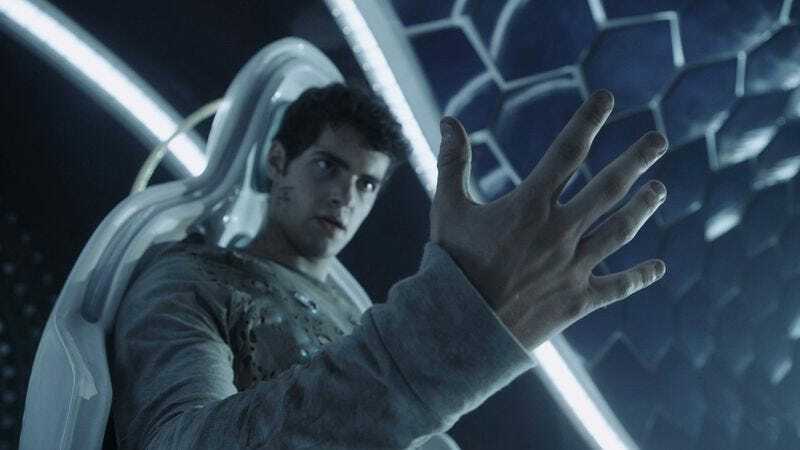 Actually, most of the special effects in Max Steel, including the ripples of translucent energy that flow from Max’s fingertips, are reasonably impressive, especially given the presumably modest budget. (Nothing that costs as much as the average comic-book tentpole receives a theatrical release this quiet.) That’s fortunate, because the movie keeps inventing new powers for its titular hero, like some neighborhood brat whose custom character can do anything he imagines in the moment. Yes, Max Steel can go invisible. And fly. And shoot energy beams. And perform instinctive parkour. Plus, have you seen the futuristic-biker uniform he can materialize over his body with the blink of an eye? Endless spectrum of powers aside, Max Steel mostly thinks small, which is about the best thing that can be said about it: In an age of bloated blockbusters bursting at the seams with costumed characters, global backdrops, and franchise setup, here’s a 92-minute superhero movie that takes place entirely within its small, Middle American setting, and which mostly keeps the exposition manageable, even once screenwriter Christopher Yost (Thor: The Dark World) has started introducing multiple alien species. That said, the modest scope mostly just feels like a byproduct of minimum effort: From its thinly sketched teen protagonist to its deluge of hero-will-rise clichés, Max Steel evinces all of the imagination and ambition you’d expect from a movie based on a bestselling line of action figures. There’s probably a better, more original version of it being played with actual action figures in some sandbox right now.